I was born and raised in Morocco until the age of 18, when I then left for the south of France. After 5 years of studying business management, I graduated with a Masters of Marketing and decided to work and travel. I moved to New Zealand where i fell in love with the coffee culture and the micro roasting process. After spending a year in Christchurch I moved to sydney where my coffee journey began working for Toby’s Estates in 2006. I began there as a warehouse manager but my passion for coffee quickly opened the door to a position as an apprentice roaster. I was roasting both on a conventional drum roaster (Toper 60 kg) and an air roaster (Brambati 120 kg). After 3 years of heading the roasting department in Sydney, I headed west and assisted in the opening of the Toby’s Estate branch in W.A. I took the role of operations manager which allowed me to keep roasting, manage the production line, work with manufacturing, establish strong relationships with our customer base and train baristas. 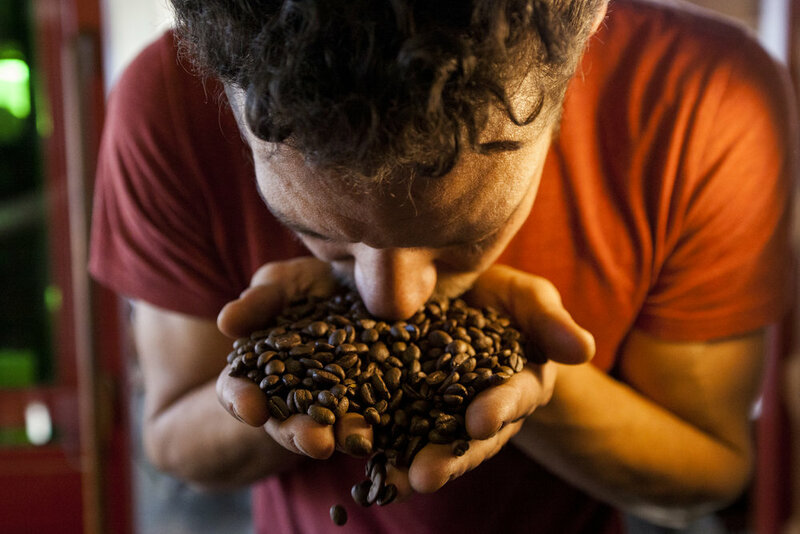 In 2014, taking all my coffee knowledge and experience, I started Atlas Coffee Roasters and opened a cafe called Red Cherries Espresso Bar. This gave me the abilities to take my skills and apply them to my own coffees. In 2016 I sold my share of the business in pursuit of other interests. Now in 2017 I have taken the job as executive roaster at Port City Roasters in Fremantle. The culture, strong business model and great vision for the future made Port City and ideal place to get involved in the coffee industry once again. Allowing me to bring my knowledge and experience forward with the goals of producing exceptional coffee in my beloved town of Fremantle.